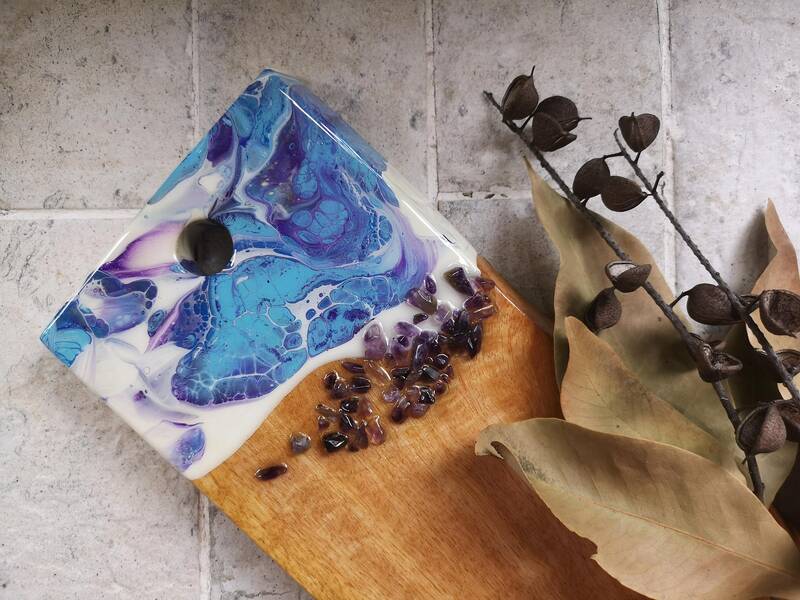 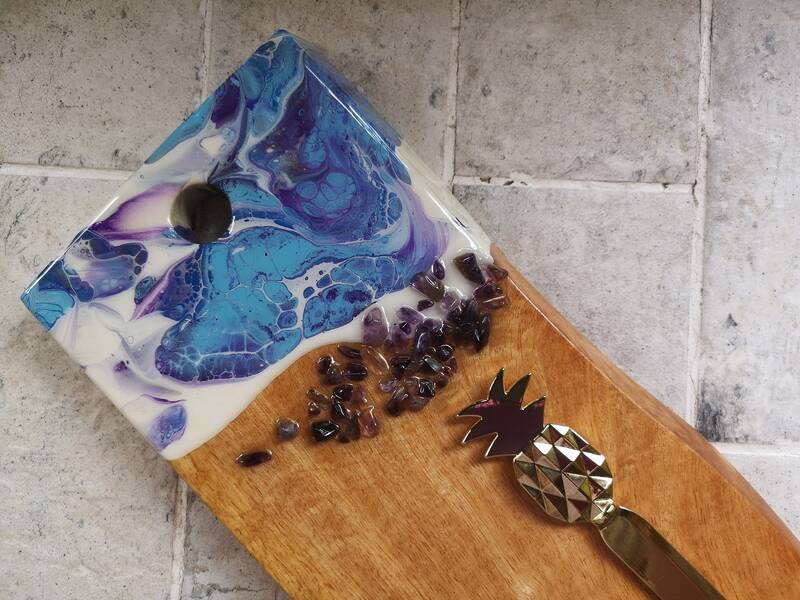 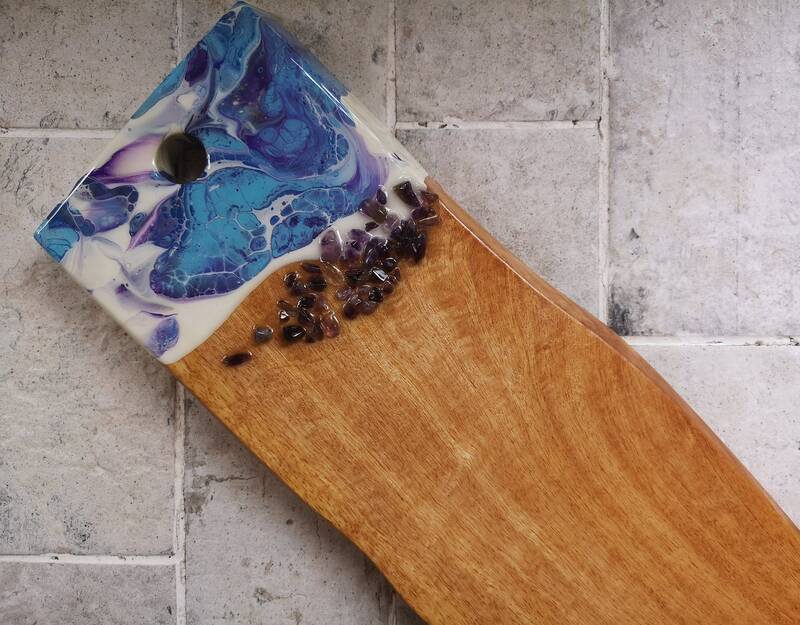 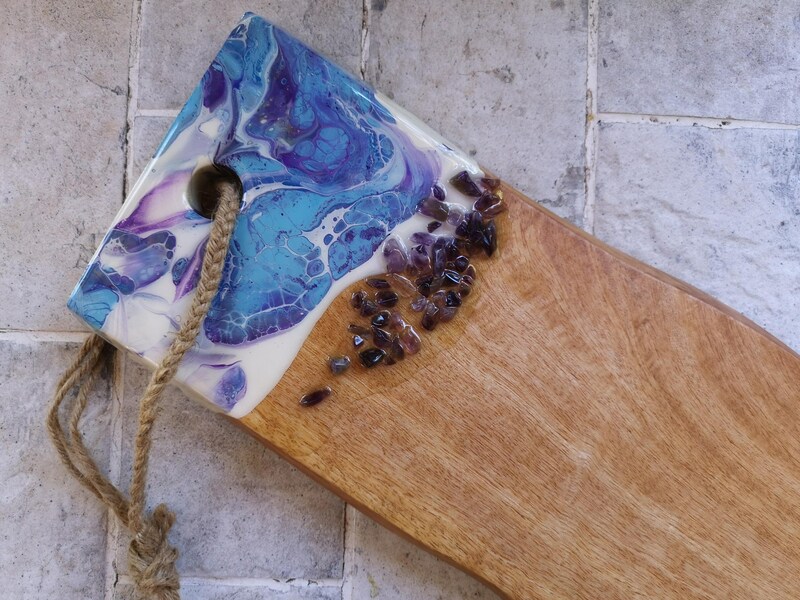 This mangowood board has been handpainted with acrylic paint in shades of purple, blue and white. 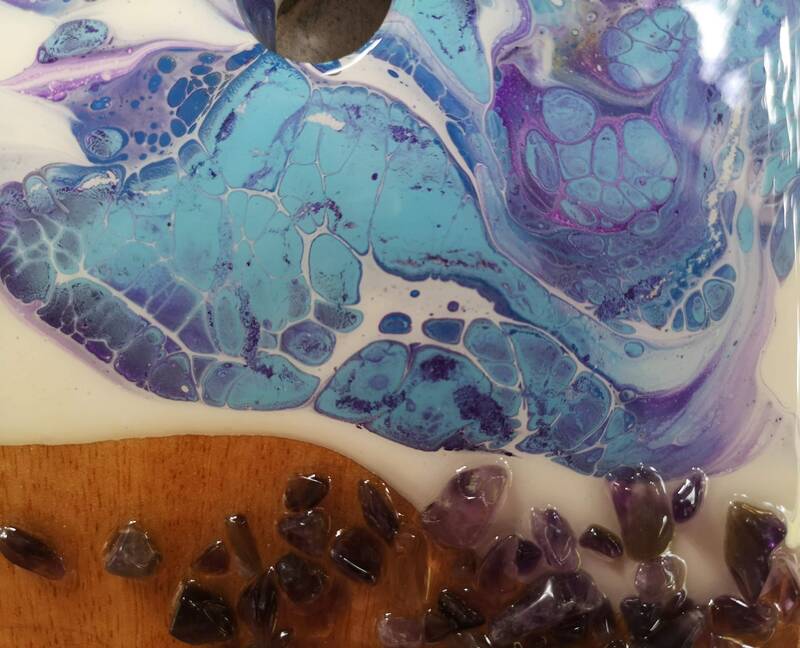 Amethyst stones have been added as a finishing touch to add some great texture. 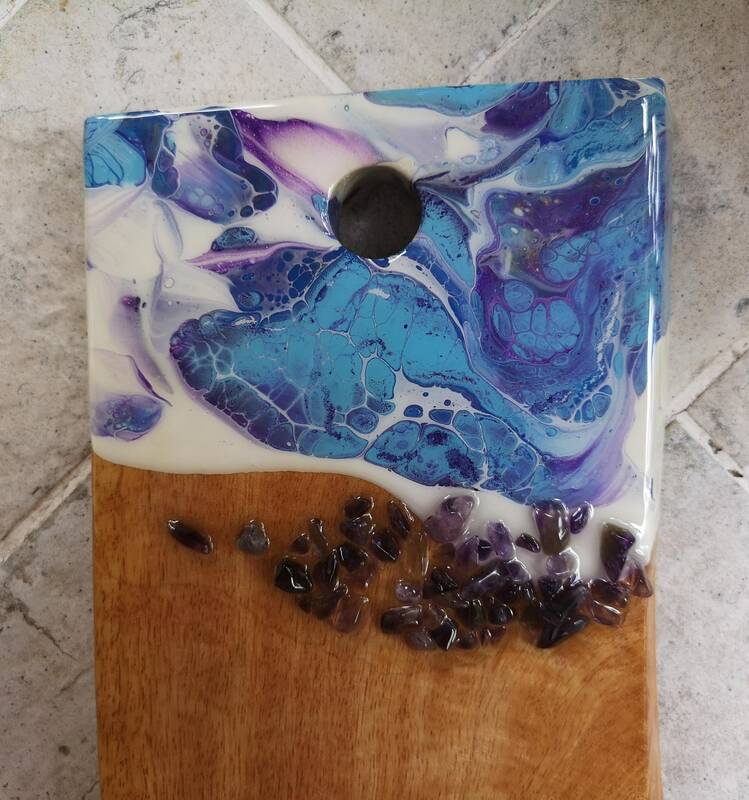 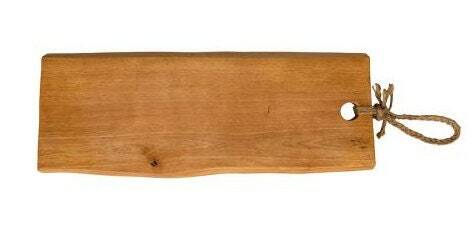 The back of the board is plain.